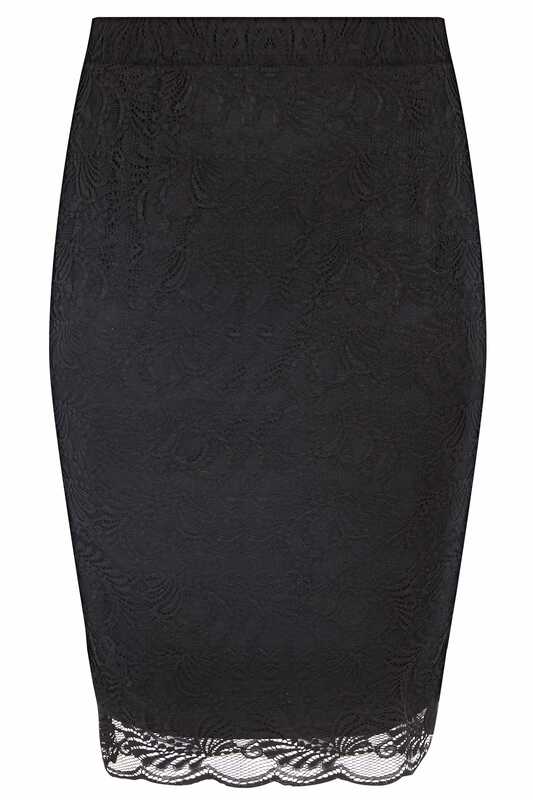 Refresh your office-to-evening line-up with this chic skirt. The perfect desk-to-dinner option, its shape flattering pencil style features an elasticated waistband for the ultimate all-day fit. 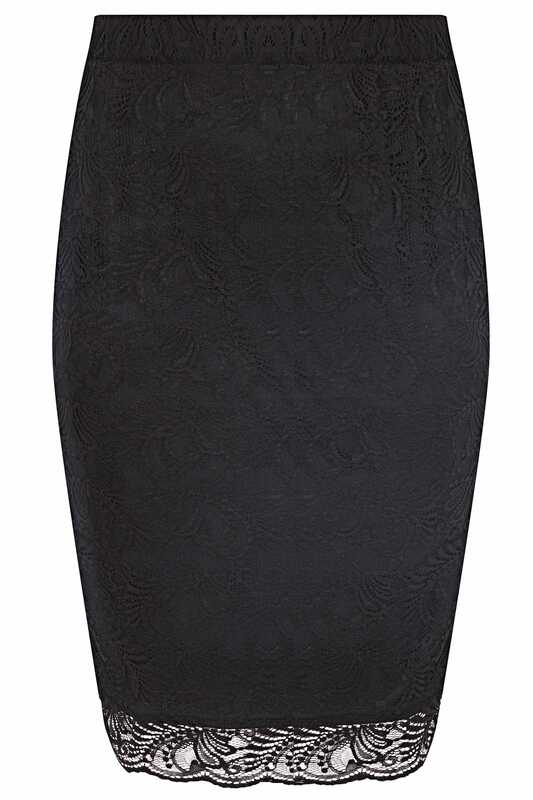 We love its understated floral lace design and scalloped hemline.